Last weekend I had the pleasure of volunteering at Oxfam Hove for their annual vintage retro day. I arrived on the Friday and helped the team in pricing, sorting and putting out all the stock – ranging from clothes to homewares to accessories. It was a late one but worth it as we got to see so many amazing pieces that had been generously donated to the shop. We finished about 8pm and headed back for a good night’s rest. The next morning the shop manager, Amanda Powell and I went for a quick coffee across the road and watched as people started to look in the lovingly made-up windows. We headed over and it was great to see all the volunteer’s vintage outfits for the day. A quick tidy and move around and the doors opened to the crowds ready to snap up some vintage! 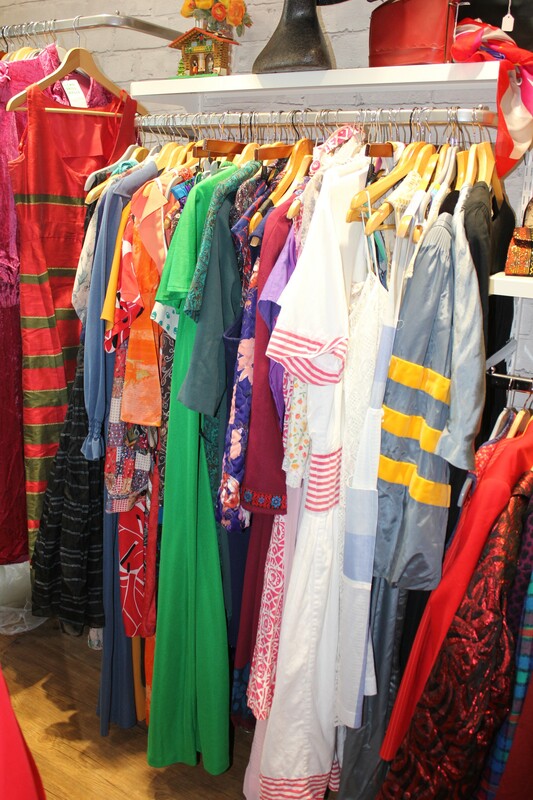 There was such a buzzing atmosphere in the shop and the vintage was flying off the shelves like hot cakes. I helped to get items out of the window, assist customers and tidy up the shop floor. As it got to the afternoon I went for a little stroll on my lunch to the seaside then came back to the shop to play a bit of dress up (I’d already tried on half the shop the day before to be fair!!). I think my most overused phrases over the weekend were ‘that’s amazing’ and ‘love it’. Here are some of the amazing items from Oxfam Hove – congratulations to the team and thanks to all the people who attended and helped to raise money for Oxfam in my fave way – the vintage shopping way!